Are you considering starting your own business? Do you have the right idea, the perfect location, and the backing to make it work? What about a business plan that will work? Starting a new business is an exciting and daunting prospect. You expect big things from your new venture, but it isn’t all just about starting trading and making money. You need to plan if you are going to make a success of it and that’s where a good business plan comes in. 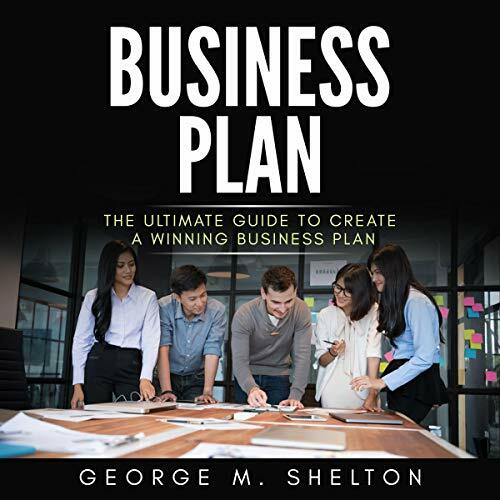 With this audiobook, Business Plan: The Ultimate Guide to Create a Winning Business Plan, you can start that process and make sure that you cover every eventuality. "Decide What Extras You May Need Like Staff etc." "The Dangers in Not Making a Business Plan"
With a good business plan under your belt, the chances of success are far greater for you and the prospect of failure will diminish accordingly. That leaves you with the confidence and security to get on and bring your great idea to a waiting world. Listen to Business Plan and make sure your dream will come alive!